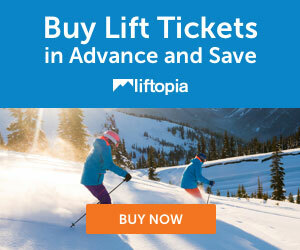 Let's get ready for the next ski season-keep checking for ski ticket deals!! Check out our great Hotel picks and by owner vacation rentals for Stowe! 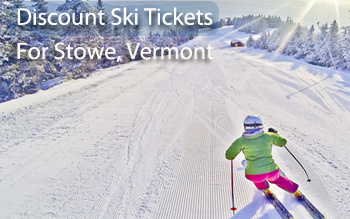 We offer discounts on ski tickets, lodging, by owner rentals, and apres ski ideas for Stowe, Vermont. Stowe Vermont offers the tallest mountain in Vermont - Mount Mansfield, with fabulous ski terrain, and a gondola that connects it to Spruce Peak.This is a luxury resort. Go ice skating, sleigh riding, dog-sledding,... and to the spa! Looking for Discount Ski tix for the upcoming 2018/2019 season? Keep Checking here to purchase! They will be on sale soon! See All Our Great Hotels for Stowe! 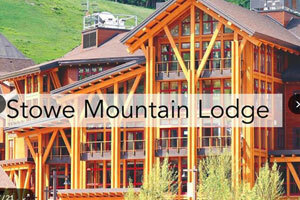 Featured: Stowe Mountain Lodge - Book it! 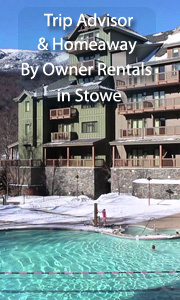 See All Our Hand-picked By Owner Vacation Rental Listings in Stowe! VRBO 514199-This beautiful mountainside studio is located directly inside the Stowe Mountain Lodge is ski in / ski out with views of Mount Mansfield and located on the 3rd floor. Your stay includes check in at the front desk, use of the beautiful heated outdoor pool, hot tubs, spa, ski valet, ice skating rink and all activities offered at the Lodge. King bed, Queen sofa pullout sleeps 4; Full bathroom with soaking tub; Balcony ;Kitchenette with stove top and microwave, Gas fireplace; 24 hour room service; Free WiFi, LCD flat screen TV;Concierge. Great Apres Ski Ideas for Stowe! Nightlife is amazing! Check out our page on Stowe restaurants, activities and nightlife! AJ's Ski and Sports is at the base! Just Fill In This Form, then you are free to call the store to make sure your order is really right for your family. Call (800) 226-6257 for AJ's in Stowe Ski Resort at the Base. Snowbird’s 2,500 skiable acres are accessed by 11 lifts. Famous for its gnarly steeps, Snowbird does have terrain for beginners and intermediates. Generally, tho, you have to ski "the Steeps" and it is not a beginner place! Huge mountain, looooooong runs. If you are at least an intermediate, you will be in heaven.